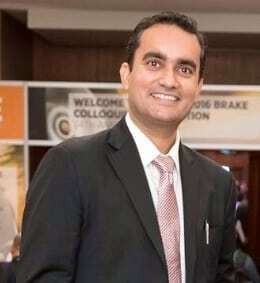 Aman Rathee is Owner of ASK Automotive Pvt. Ltd. With manufacturing units situated at 12 strategic locations across India, ASK Automotive is most preferred among OEMs and Tier 1 companies. ASK’s customers include Honda, Hero Motocorp, Maruti Suzuki, TVS, Yamaha, Bajaj, Suzuki, Mahindra, Magneti Marelli, Denso, among others. In the following Q&A, Aman shares with us his valuable insights on the topics of leadership and success. AR: As the Owner and Director of the company, my current role is envisioning the road ahead using the best international practices as a benchmark. And overseeing all aspects of the business growth and strategy. My current area of focus is the Research and Development of friction products, domestic and international marketing, Indian aftermarket and Mergers & Acquisitions. AR: My forte is quick decision making, adapting my strategy as per the need of the hour, and seeing it through to completion. I seek employee feedback regularly in order to strike smooth workflow across all divisions and channels of the company. Being accessible to all associated members is my top priority because the success of the company depends upon the ‘trust’ factor between the employee and the employer. AR: For the past 5 years the company has been growing at a CAGR of 26%. The biggest challenge is sustaining good financial health of the company, by consistently making sure that the profits increase at a better rate or in proportion to the growth. To be recognized as a key friction player in the international market as we are in domestic market is another challenge and aspiration for me. AR: A keen understanding of the fundamentals of the industry is what I look foremost in someone working with me. People who are rooted to the ground realities through experience and through their ability to connect with people. Needless to say honesty and loyalty are the prerequisites. AR: Started my training at the shop floor understanding the practical problems of manufacturing. Then upgraded to purchase, R&D, OE marketing and Aftermarket. 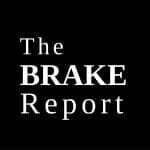 AR: ASK is producing 168 million 2Wheeler brake shoes annually which makes it by far the biggest in India in that segment and may be one of the largest in the world. On a personal note, I unwind by running (I try and participate in half marathons whenever I can) and by spending time with my wife and son. Having a 6 year old son with a keen interest in sports, I get to relive my childhood every now and then!